Paradox Basin in southeast Utah and southwest Colorado. The approximate limit of the Cane Creek play is based on the mapped extent of the Cane Creek shale in Utah. Red boxes are areas with Cane Creek oil production. 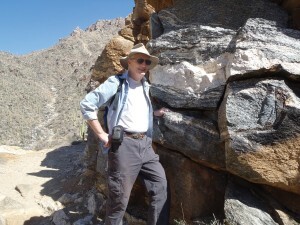 Craig Morgan, Senior Geologist, Utah Geological Survey. Craig Morgan is a senior geologist in the Energy and Minerals Program at the Utah Geological Survey (UGS). Craig started his career working as a well-site mudlogger and went on to work in oil and gas exploration for a decade before joining the Utah Department of Natural Resources, first as a Water Rights Specialist in the Division of Water Rights and then as a Petroleum Geologist with the UGS. Craig’s work has primarily focused on reservoir characterization studies for exploration and improved hydrocarbon recovery as well as studies for carbon sequestration and produced water management. The Cane Creek shale of the Paradox Formation in southeastern Utah has been challenging oil reservoir to develop. As part of a three-year U.S. Department of Energy-funded study, the Utah Geological Survey (UGS) has been researching the Cane Creek shale characterizing its geologic, geomechanical, and geochemical properties throughout the Paradox Basin. The goal of improved reservoir characterization is to identify potential exploration areas outside the current Cane Creek unit near Dead Horse Point State Park, as well as improve drilling and production techniques to reduce costs and environmental impacts. Over the past decade, the Moab area of the Paradox Basin has seen a large increase in drilling and subsequent oil production. The first oil discovery in the Moab area occurred in the 1920s from the 300-million-year-old (Pennsylvanian aged) Paradox Formation. 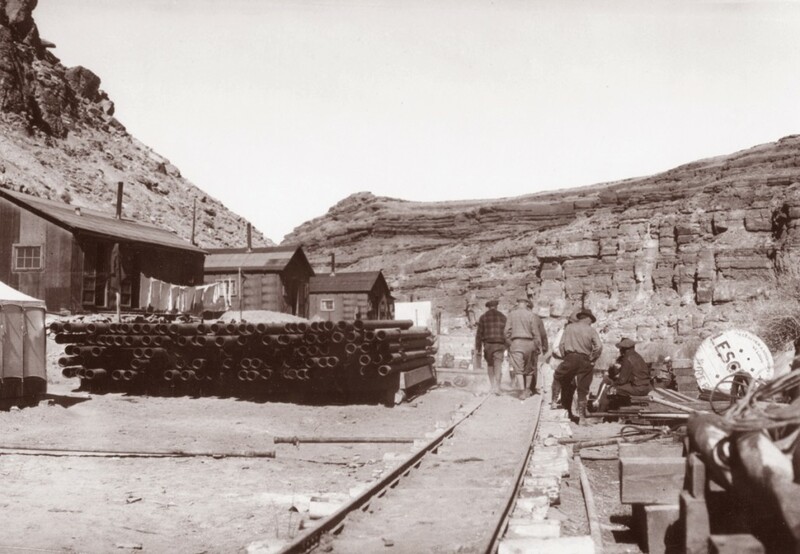 Drilling equipment and building materials were loaded on barges and floated down the Colorado River to where the first discovery was drilled on the axis of the Cane Creek anticline near the current site of the Moab potash mine. While drilling, the well first blew out at a depth of 2028 feet and the rig was destroyed by the resulting fire. Several additional wells were drilled on the anticline but only a minor amount of oil was produced. Later, the equipment was floated farther down the river to Shafer dome, which only resulted in drilling a dry hole. In 1957, drilling up on Big Flat, near present-day Dead Horse Point State Park, resulted in the discovery of oil in the Mississippian Redwall Limestone. This was the first discovery of oil from Mississippian-aged rocks in Utah. Ultimately, three oil wells and four dry holes were drilled in the Big Flat field, which was abandoned in 1971 after producing more than 83,000 barrels of oil (BO). The early 1960s saw the discovery of the Shafer Canyon, Bartlett Flat, and Long Canyon fields. The Shafer Canyon field consisted of two wells, one on each side of Dead Horse Point State Park, which produced from the Cane Creek shale. The wells were plugged and abandoned in 1969 after producing over 67,000 BO, mostly from one well. Bartlett Flat (Big Flat 5 well) and Long Canyon (Long Canyon 1 well) fields (both one-well fields) also produced from the Cane Creek shale. The casing collapsed in the Big Flat 5 well and the field was abandoned after producing 39,000 BO. Several additional wells unsuccessfully attempted to establish production at Bartlett Flat. The Long Canyon well was the most successful well in the area drilled during the 1960s. The well has produced more than 1 million BO and is still producing. 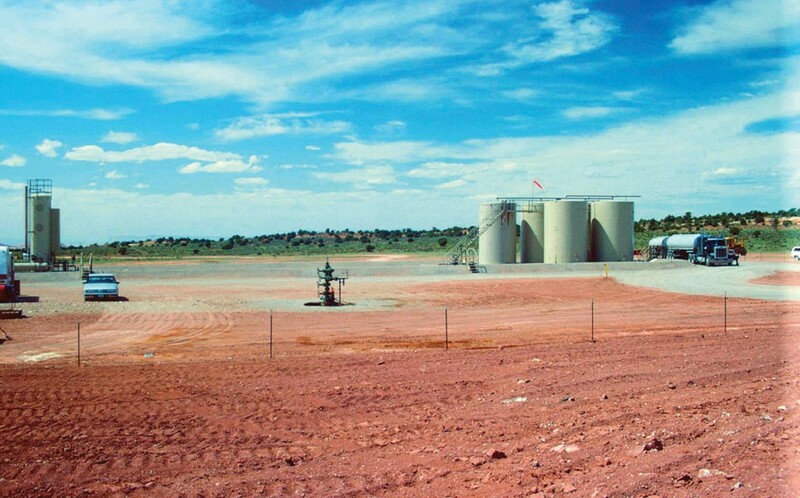 Lion Mesa field was discovered in 1980, but has only produced a minor amount of oil from the Cane Creek shale. 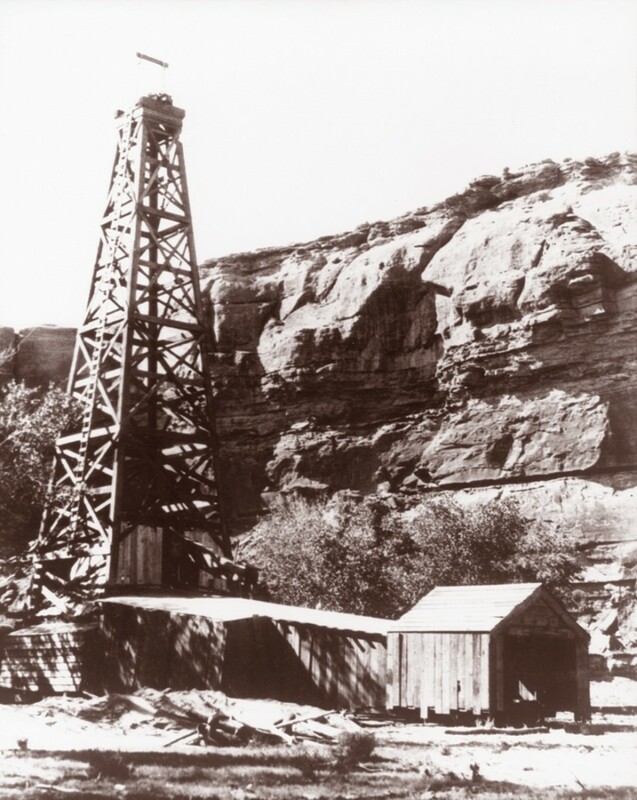 Exploration continued in the Moab area but significant success did not occur until Columbia Gas Development Corporation formed the Cane Creek Federal unit in 1991 and drilled a horizontal well (1-27) in the Cane Creek shale in the abandoned Bartlett Flat field. 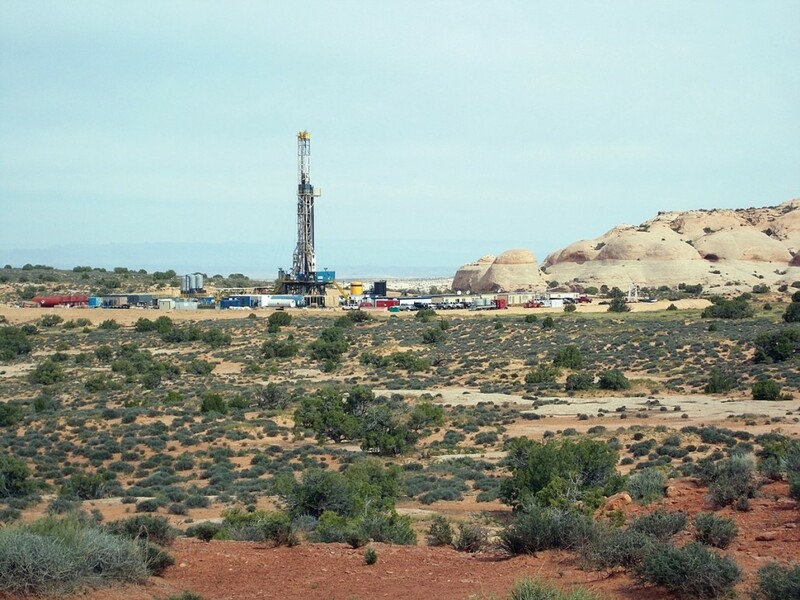 This was the first long-reach horizontal well drilled in Utah. Drilling horizontally in the Cane Creek shale allows wells to penetrate 1000+ feet of reservoir rock, versus 10 to 30 feet in a vertical well, and greatly increases the probability of encountering natural fractures essential to economic production. Columbia drilled six horizontal wells that are still producing and are now operated by Fidelity Exploration & Production Company. The six wells drilled by Columbia have produced more than 1.4 million BO. Fidelity Exploration & Production Company took ownership of the Cane Creek unit in 2007 and began drilling additional wells. Fidelity has drilled 17 horizontal wells in the unit, many of which have horizontal legs exceeding 5000 feet in length. Total production from the Cane Creek unit as of September 1, 2014, exceeds 2.9 million BO, with 91,836 BO produced during the month of August 2014. Many of the wells have multiple horizontal laterals and some drill pads contain two wells, helping to reduce the surface footprint of development. Drilling and completion costs are typically $8 to $14 million per well, with the best wells expected to ultimately produce about 1.7 million BO. The Moab area is part of the Pennsylvanian-aged Paradox Basin. About 307 million years ago, the region was a highly restricted marine bay. Sea level rose and fell during global greenhouse (interglacial) and icehouse (glacial) periods, respectively. Low sea level resulted in evaporation of sea water and extensive, thick deposits of halite as well as minor amounts of potassium and magnesium salts. High sea level resulted in deposition of carbonates and siltstones interbedded with thin organic-rich shales (collectively referred to as shale) such as the Cane Creek shale. A shale and overlying thick salt bed is considered a depositional cycle. In the Moab area there are as many as 29 cycles in the Paradox Formation; the Cane Creek shale is in cycle 21, with the cycles numbered from the top of the Paradox down. The thin, organic-rich shale beds in the Cane Creek are the source of the oil produced from the unit’s adjacent fractured siltstones and carbonates. The Cane Creek shale is a difficult oil reservoir to develop. In the Big Flat area, about 3500 feet of interbedded sandstone, shale, and limestone overlie the Paradox Formation. From the top of the Paradox to the Cane Creek, there is about 3500 to 4000 feet of salt with thin, interbedded shale beds. Under the pressure and temperature of deep burial, salt will often flow, like squeezing a tube of toothpaste. Salt flowage can ruin a well by collapsing the well casing and plugging well perforations and tubing. Mapping seismic data can identify faults and structural highs at the Cane Creek shale horizon. These deep structures are often the drilling targets, but identifying where good reservoir-quality porous beds and natural fractures occur is much more difficult. On the surface the formations are generally flat-lying to gently inclined, but the salt deposits of the Paradox Formation are often highly deformed. Movement of thousands of feet of salt from one location to another formed large salt anticlines; when the salt pushed through or intruded into the overlying formations it created salt diapirs. Moab-Spanish Valley, Castle Valley, and Salt Valley in Arches National Park are all examples of large diapiric salt anticlines. The Big Flat area sits atop the Cane Creek anticline, which is the result of more subdued salt movement. The movement of salt formed a broad, gentle anticline but did not penetrate the overlying formations. Additionally, smaller-scale deformation within the individual Paradox salt cycles often resulted in folding the Cane Creek shale into “wavy folds.” These folds typically have a wave height of several feet to tens of feet and are spaced hundreds of feet apart. This smaller-scale folding can make it very difficult to keep the drill bit within the Cane Creek reservoir when drilling a horizontal lateral several thousand feet long. Naturally occurring open fractures in the Cane Creek shale are important permeability pathways for oil to move from the formation into the well bore. Core from the Cane Creek contains many types of fractures; some are thin with limited length and are filled with anhydrite, calcite, or clay, and some are wider and filled with halite. Open fractures tend to be near vertical but are confined to individual brittle sandstone or carbonate beds. An important part of predicting where oil-productive fractures might exist involves understanding when both the filled and open fractures formed, what forces caused the fracturing, and what fluid flow conditions resulted in mineral-filled fractures versus open fractures. Another key exploration element is understanding the timing of oil generation. Were the mineral filled-fractures sealed before or after oil was generated and were the open fractures formed before or during the time of peak oil generation? We are using organic-matter maturity data and burial history studies to determine when, and at what temperature, oil was generated. Also, fluid inclusions found in the fracture-fill minerals are being used to help determine at what temperature, and therefore what time during burial, minerals formed in the fractures. As minerals form within a fracture, microscopic bubbles of liquid and gas can become trapped within the crystal structure. Heating and cooling of the bubbles reveals the composition of the fluids, gases, and the temperature at which they formed. When in geologic history the fractures formed can be determined by comparing temperature data generated from a burial history curve to the fluid inclusion temperatures. Burial history curves also help us determine when oil was generated within the Cane Creek. Ongoing work includes mapping regional thickness, structure, organic content, and organic thermal maturity of the Cane Creek shale and associated salt deposits using well logs and cores to determine the extent of the reservoir and hopefully identify additional exploration areas. Improved reservoir characterization leads to more efficient development which can reduce the number of wells needed to be drilled and reduce the overall environmental impact of drilling. The UGS is currently in the final phase of the study and is preparing the final technical report. Additional information on the Cane Creek reservoir characterization study, including quarterly technical reports and presentations, can be found on the project website. Glad You Asked: Why are there Utah names on Mars?